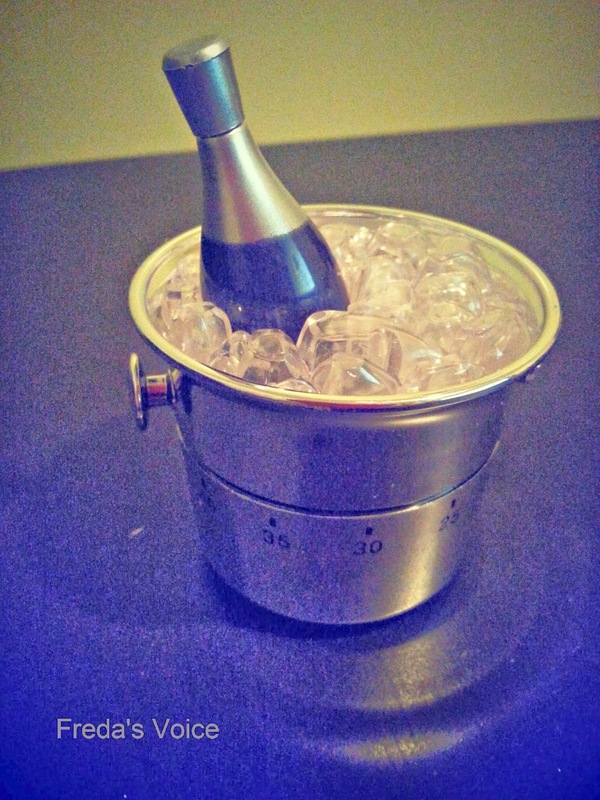 Your guests will want to ring in the new year with the "Let's Celebrate" champagne bucket timer. 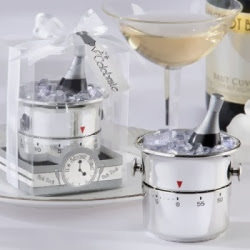 Perfect for a New Year's party, these timers are fabulous and functional. 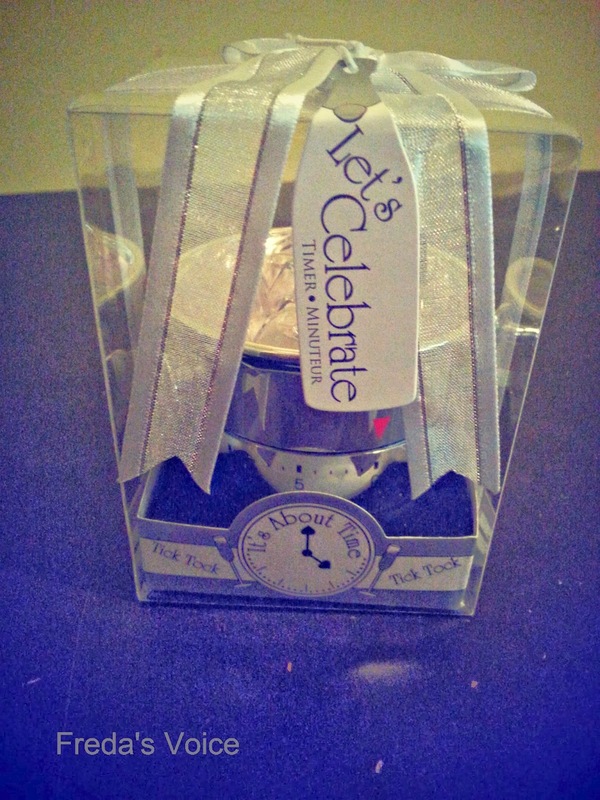 Each timer is packaged in a clear gift box, complete with a white organza ribbon and bottle shaped tag reading, "Let's Celebrate!" The timer has a countdown from 1 minute to 60 minutes, so your guests will know exactly when to shout "Happy New Year!" 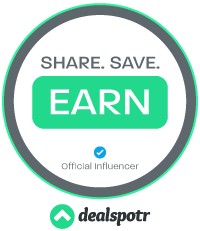 I was sent a timer for review. At the time I was planning a party. Sadly that party got cancelled due to the hubby having to work, but I still used the timer while celebrating alone. Yes, alone. It arrived in cute packaging. I opened it up knowing at 11 pm this baby was getting set. For the next hour I heard a steady tick tick tick tick tick tick..... honestly it did start to drive me nuts. I focused a little too much on the noise. But it didn't take away from the excitement of knowing that the new year was almost here. Then this bell ringing went off..... it was like the fire alarm bell at school.... loud, obnoxious, eager.... but I loved it! It was perfect for the exact moment of the change in year! Even being alone the excitement was still there at the moment, and I got a text from the most important person on earth. The hubster. Rude noises and all I'll be pulling this bad boy out again next year too! Yup, I need that countdown in my life. But only on new years eve.